The Sympatex“breathing” glove can make the professional life of employees which have to work long time per day with impermeable gloves much more comfortable, healthy and pleasant. 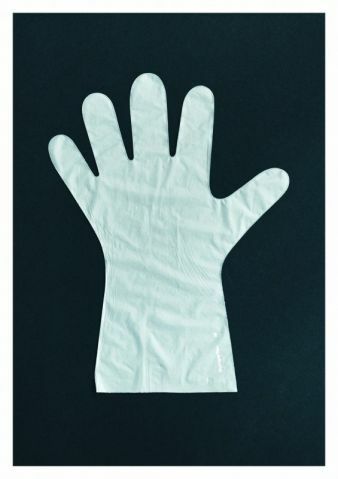 Core of the product idea of the Sympatex unit “Tection” (technical applications) is a two dimensional glove made out of the compact semipermeable ‘guaranteed green&#146; Sympatex membrane. Semipermeability means that water vapour molecules can permeate through the membrane whereas liquids like water etc. will be prevented to penetrate through the membrane. The Sympatex“breathing” glove will be worn under occlusive and impermeable protective gloves made out of PVC (Polyvinylchoride), nitrile etc., which are used in the occupational practice (e.g. protective equipment against chemicals). The effectiveness of the concept has already been proven over the last few years based on different scientific studies under the leadership of the University of Osnabrück, Department of Dermatolgy, Environmental medicine and Health Theory. The results of the scientific investigations show that skin irritations or even serious occupational skin diseases caused by occlusive effects of impermeable protective gloves can be avoided or at least considerably reduced by using Sympatex“breathing” glove liners.